Wii Play: Motion, known in Japan as Wii Remote Plus Variety (Wiiリモコンプラス バラエティ, Wii Rimokon Purasu Baraeti), is a party game for the Wii video game console and the sequel to the 2006 game Wii Play and a member of the Wii Game Series. 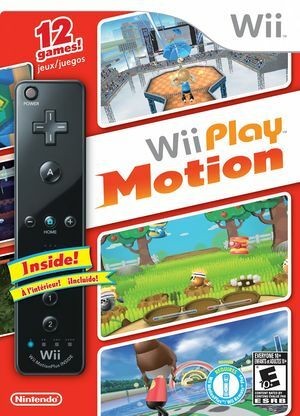 All retail copies of Wii Play: Motion are bundled with a Wii Remote Plus controller. Like its predecessor, Wii Play: Motion is a minigame collection that features Miis as playable characters. Twelve minigames are available to play with both single-player and multiplayer modes. All the minigames require use of the Wii MotionPlus accessory, which allows Wii Remote movement to be detected with greater accuracy. The Spooky Search mini game uses the Wii Remote speaker as a radar, emitting bips to guide the player. Wii Remote speaker isn't emulated properly, you'll get crackling and delayed sound, sometimes mixed with high noises and causing the Wii Remote itself to randomly disconnect (influenced directly by the bluetooth adapter/stack). As result, this mini game is almost impossible to pass and you can't make any further progress on Wii Play Motion. A workaround is using 4.0-3087 or newer with Hybrid Wii Remote option, making the Wii Remote Speaker sounds be redirected to the system speakers. Wii Remote Plus Controllers on Windows 8/10 can also play Wii Remote Audio over the Wii Remote correctly. This does not work with standard Wii Remotes with Motion Plus adapters. The graph below charts the compatibility with Wii Play: Motion since Dolphin's 2.0 release, listing revisions only where a compatibility change occurred. This page was last edited on 16 January 2018, at 03:50.